One of the joys of being a librarian is introducing readers to books. I love when a young beginning reader comes into the library looking for a new book to read. When they tell me they want something realistic and funny, I always point them to the Clementine Series by Sara Pennypacker. 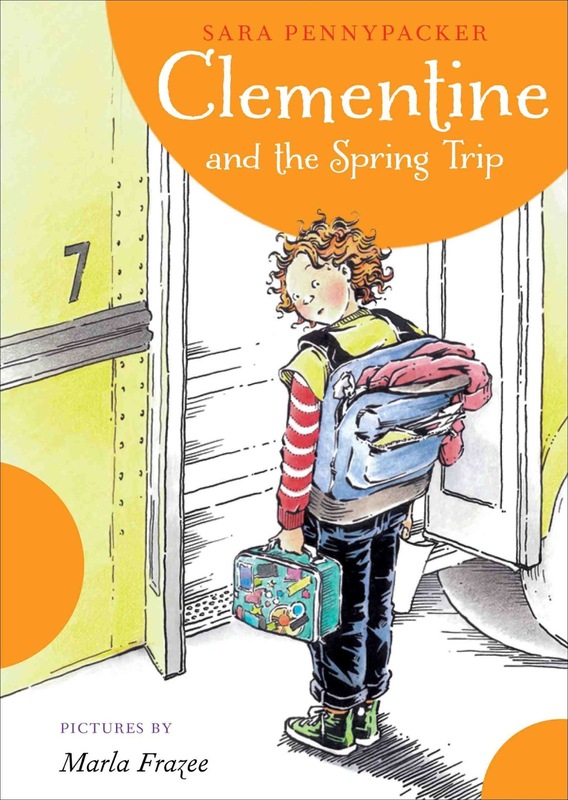 In Clementine and the Spring Trip, Clementine is feeling a bit nervous about her upcoming class trip to Plimoth Plantation. She's hoping there is a lot of doing suff there, not just looking stuff. But Clementine is really worried about the eating sounds that her friend Margaret has warned her about-the fourth graders have a rule about making noise while you eat and Margaret won't even tell Clementine about what will happen if she makes noise! And there's a chance they might have to ride the smelliest bus on the field trip! What I love about the Clementine books is that just feel real. I feel like I know Clementine and her family and I love reading about them. Clementine's voice is pitch perfect for readers looking for early chapter books. Her adventures feel realistic, her observations on life and her thoughts on family, friends and school match young readers perfectly and she's just a lot of fun to read about! I loved her story in the Spring Trip-she reminded me a lot of myself at that age-worrying about things at school. But Clementine is able to figure things out and she makes it through-no matter what. She may be surrounded by some eccentric characters but they don't feel out of place or eccentric in Clementine's world-they work. I adore her friend Margaret and her clean obsession (one I wish I shared! Margaret can come clean my house any day!) Clementine's parents are also so loveable and likable and I love watching their relationship unfold throughout the story-and I especially love her relationship with her father. The special gift they are making her mom is so sweet and adorable I wanted to reach through the book and give both of them a hug! Clementine is just so fun to be around I love escaping into her world for awhile! Clementine and the Spring Trip is another wonderful entry into the Clementine Series. Readers who have visited Clementine before will love reading about another adventure in her life and readers new to the series will want to go back and visit with Clementine again. A wonderful addition to any library and perfect for early chapter book readers. Do you and Clementine share any personality traits? When I was beginning the second Clementine I moaned (theatrically, I’m afraid) at a writing meeting that “now I’ll have to find her voice again.” One of my critique partners said, “Come on, Sara. Clementine’s voice is your voice.” I scoffed at that, and later repeated her ridiculous observation to a friend. My friend stopped dead in her tracks and said, “Seriously, Sara,...you don’t know this?” And I did have to finally accept that indeed, I think the same way Clementine does (okay fine, I have the teensiest problem with attention) and that if I didn’t work so hard keeping my grown-up, responsible-behavior mask on, I would say and do the things she does, as well. I have to say, though, that we differ a lot in that when I was eight years old, I was painfully shy. I just wanted everyone to leave me alone, so I could draw and read and ramble through fields on the look-out for orphaned fawns or wounded falcons who would follow me home and be devoted pets. Well, I can’t answer that question without separating it into two parts. Why do I write? That’s like asking why I breathe. I write because I’d probably keel over dead if I didn’t. Since the time I learned to read, the last image I was conscious of before I went to sleep each night has been text. Letters forming phrases that made only a dream-like sense, wanting to be stories. It’s how I experience, and then make sense out of, the world – by putting it into words, and then putting the words into a narrative order. 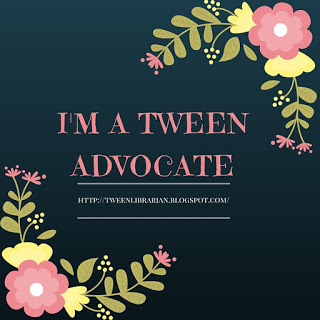 Now, why do I write for children? Well, it’s true that I’ve written 20 books now, and 19 are for kids. (Actually, my only adult fiction – MY ENEMY’S CRADLE, written as Sara Young, has a main character who is 19, so that could arguably have been marketed as YA.) Still, I don’t write for children by choice - I’m a little too busy here in the studio wrassling plot and character and word order, etc., to think about who should read my story. It just happens, and that’s lucky, because if it were a choice, I would write for kids - for too many reasons to list. Here are my top two: First, books can make a profound difference to a young reader: they can either mirror his experience in a way that says, “Look, you’re already a member of the human tribe, Welcome!” or they can open up a whole different path than the one she’s on. Secondly, because of the connection triangle: Reader-character-author. Authors really connect with their characters, and readers really connect with them, too. But only young readers make the final connection – between themselves and the author. And they are right. When I love Clementine, yes, I am also saying I love all the kids who share traits with her, including the child who’s holding the book right now. And young readers love their authors back. 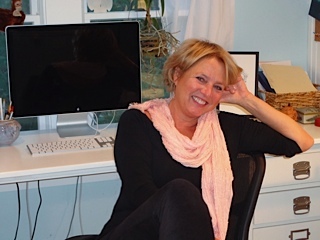 This is a responsibility, and one I take seriously by always trying to write with kindness – I understand that if I’m not kind about my characters’ flaws, some reader will take it that I’m being insensitive toward their own. But mostly it’s a privilege – after all, I think the great business of being alive is to make connections between oneself, one’s work, one’s world and the others in it. Whether I’m aware of them or not, engaged young readers make my life rich with connection. Full Disclosure: Thanks to Blue Slip Media for providing a copy of the book to read and review. Wonderful interview. I love the connection triangle that you expressed, it explains why I enjoy reading middle grade so much. Clementine is such fun to read about.